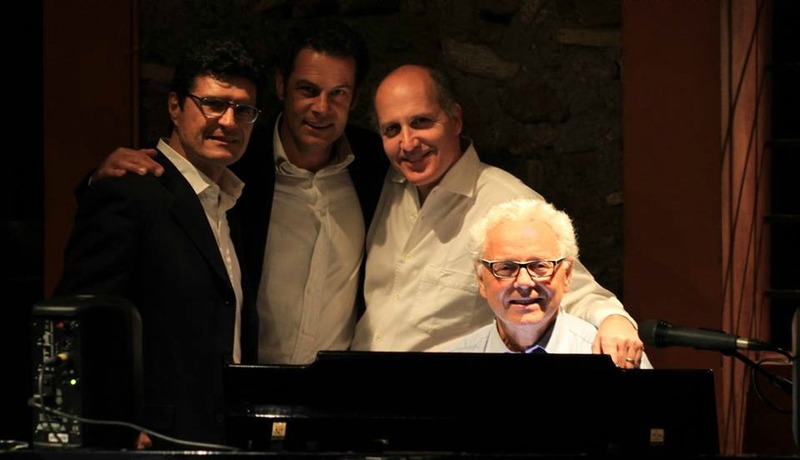 Arciliuto Group,·Four singers and a piano, founded in 1988 in the historical roman theatre “Arciliuto”. The Arciliuto Group offers a special and spontaneous way of singing. The group was formed in a casual way by four friends whose common muse was their love for music. Within a few months they were recognized and were asked to perform on television in one of the most popular shows on Channel 5, the Maurizio Costanzo Show. Here they sang for more than one year creating an interactive chorus with the audience, at the Parioli Theatre of Rome. 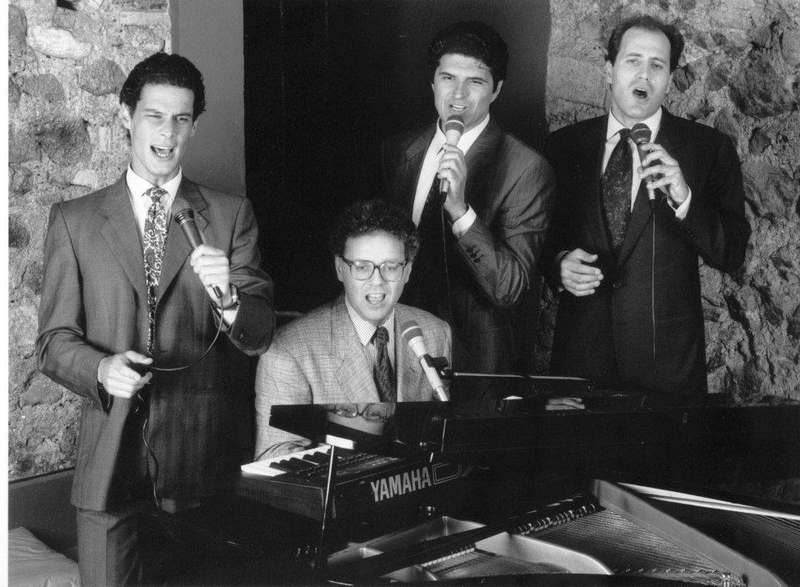 One of the group’s successful ideas was their original and crafty karaoke formula, years before karaoke was ever known in Italy. 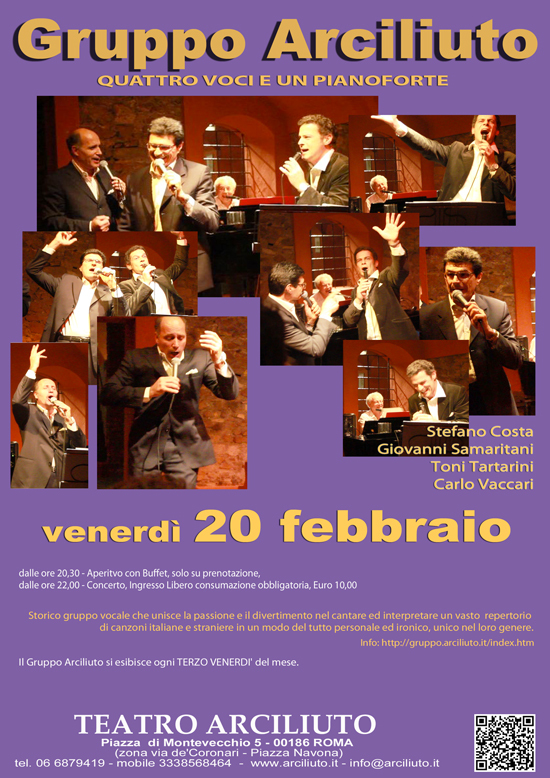 Questa voce è stata pubblicata il 14 febbraio 2015 da Redazione in 20 febbraio, Anno 2015, Eventi, Febbraio, Gruppo Arciliuto, Venerdì Sera con tag Gruppo Arciliuto, Teatro Arciliuto.